It’s not often that I’m listed in the same sentence as Laurie Berkner, Dan Zanes, Charity Kahn, Music Together, and many other household names in the field of children’s music and education. So I’m taking this opportunity to shout from the rooftops about this free speaker series, for which that IS the case. I’m assuming that since you’re reading this, you understand the importance of music, and that learning and music go hand in hand. It is also known that the biggest predictor of long­term life success and happiness is not “IQ” but actually “EQ” — emotional intelligence. So what does music have to do with emotional intelligence? Any music therapist will tell you that it’s really hard to pick favorites when it comes to instruments. After all, they are our tools, and we choose them based on the specific needs and goals of our clients. That being said, there are definitely certain instruments I tend to gravitate to more often than others. And since I frequently receive emails from students, interns, and new professionals asking which instruments I recommend, I’m sharing them here with you. I left off the very basics (shakers, tambourines, rhythm sticks, jingle bells, etc.) as those are a given. 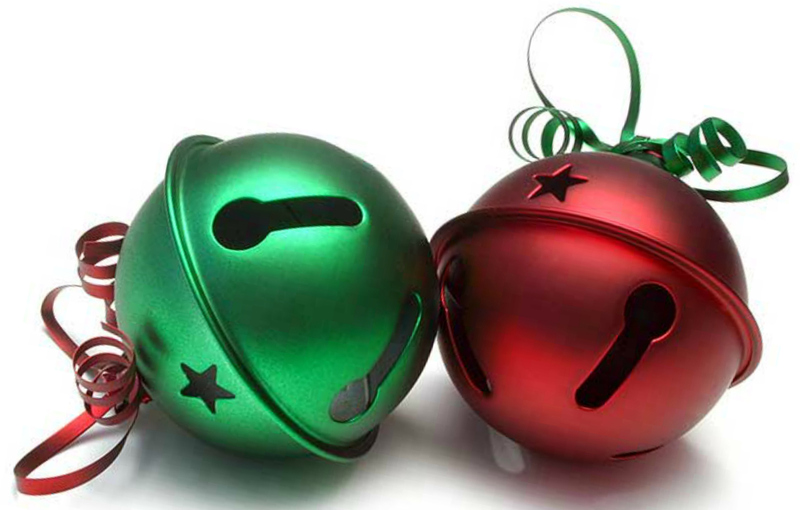 It’s Time for Little Jingles! Last December, we offered our very first holiday-themed music class at Music Therapy Connections and it was a such a blast. I mean, what’s better than singing about reindeer and clicking reindeer hooves (a.k.a. castanets) with a bunch of kids?! So of course we brought back Little Jingles this year, and we have a completely full class starting tomorrow evening. This year, Katey and I kept some favorite songs and activities from last year in the rotation, and we added a few new ones as well. The session is a mix of both familiar and completely original songs with lots of opportunities for singing, dancing, and instrument playing. Just as we’ve done with many of our other class sessions, we’ve made our Little Jingles package available at Listen & Learn for Leaders, which is a resource we created for therapists, educators and parents. This facilitator package includes a guide with a list of instruments, materials and instructions/suggestions for each song, as well as a lyric packet for participants, chords for the facilitator, and collection of mp3s. You can purchase it as a standalone product, or get it for free when you become a VIP member (more about that here). We’re super excited about kicking off the month of December with our Little Jingles class, and we invite you to join us in leading it with your own students, clients, and families! Free Download + Thanksgiving Super Sale! You guys, I am so excited about Thanksgiving. I look forward to this holiday every year, but this one is special — it’s my daughter Mia’s first Thanksgiving, and my son Parker is old enough to (mostly) understand why we’re celebrating. I always offer some type of deal or discount here at Listen & Learn Music to kick off the holiday season, and this year I’m going all out with two big ones. Free “Early Childhood Programs: Create, Market, Make Music!” Online Course ($75 value) when you join Listen & Learn Plus, my membership site where I provide hundreds of music therapy songs, resources, downloads, biz advice and more. 50% off the entire Listen & Learn Music Store when you use the code THANKS50 at checkout. Oh, and I have a free download (mp3, instrumental track, & lyrics/chords) to share with you as a little Thanksgiving gift. I wrote “Count Your Blessings” specifically for the Thanksgiving season, but it is perfect for use throughout all the holidays! Claim the specials and your free download here. These two specials are available now through November 30. Thank you so very much for reading, sharing your feedback, and supporting Listen & Learn Music throughout the years. Have a wonderful Thanksgiving! One of my favorite books to read to Parker is Bear Snores On, because I love the way the words flow and the phrase “…and the bear snores on” repeats. So when I was browsing online and found that there were other books in this series, I got really excited. 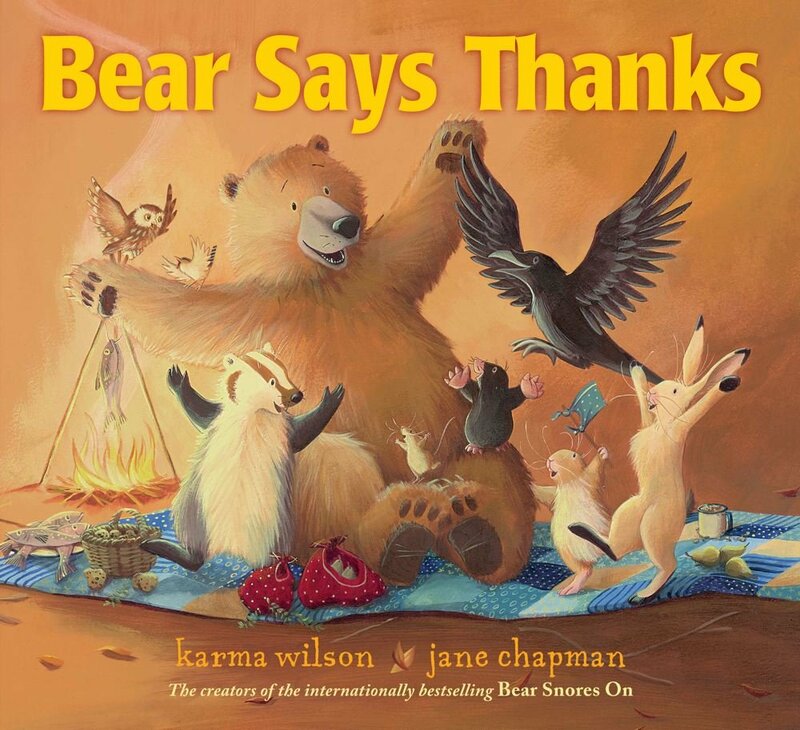 I was in search of a Thanksgiving-related book to use in our early childhood music classes, and Bear Says Thanks was the perfect choice. It’s a little bit longer than our usual singable stories, but the repetition makes it easy for everyone to join in. The illustrations are lovely and the hard copy version is nice and big. The tune I came up with is a mash-up of “Do Your Ears Hang Low?” and “Turkey in the Straw” — kind of random, I know, but that’s what came out when I first tried setting the words to music :) I like using familiar melodies for singable stories, because they are easier to remember. There are a few other books I love to pull out at Thanksgiving time (There Was an Old Lady Who Swallowed a Pie and Ten Fat Turkeys are favorites) but this one is currently at the top of my list.